Keep all your projects on track and your clients up-to-date with simple and beautiful project scheduling from TeamGantt. See what everyone on your team is working on. With TeamGantt, you can easily see what your team and resources are working on now, as well as what they’ve got coming up. Seeing the whole picture allows you to make changes on the fly to keep projects moving along efficiently. Attractive project schedules you’ll want to share. Export to PDF or embed beautiful project timelines. Stop wasting time designing your own custom timelines or sending out cringeworthy charts. 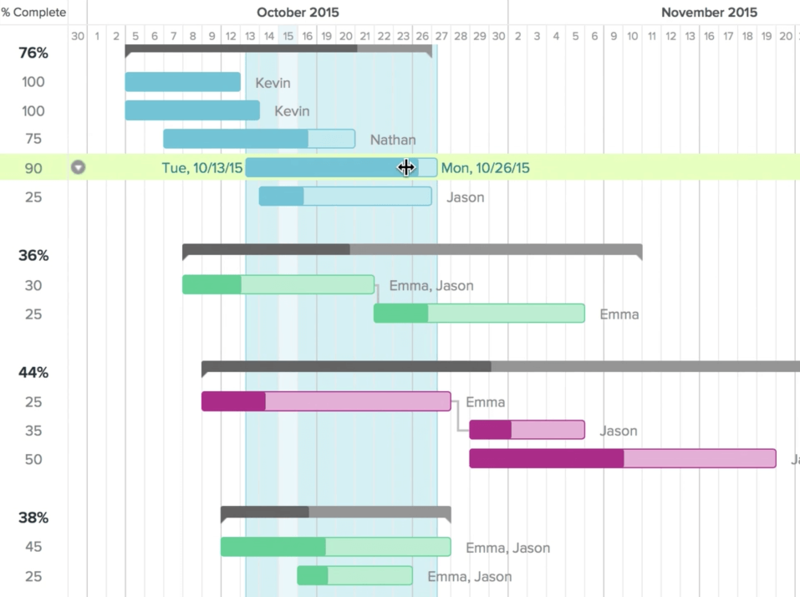 You can also use our online gantt chart to create beautiful charts for your RFP. Store and manage all the documents you need for your projects. With TeamGantt’s document upload features, you can upload multiple versions of all the documents you need at the project or task level. Design documents, proposals, signed contracts—whatever you need, right at your fingertips. Easily plan ahead and make updates on the fly. With TeamGantt’s drag and drop simplicity, it’s easy to plan for the long run and still make the day-to-day changes as they come up. Scheduling your projects has never been easier or more beautiful—and makes it much easier to avoid tough client conversations regarding timelines.